An individual was recently discharged from a hospital or long-term care facility, such as a nursing home or rehabilitation center. A doctor determines that an individual has a need for nursing or therapy at home. What is the purpose of home health care? Home health care helps patients get better or otherwise reach the highest possible level of independence. For people with long-term health problems, the goal of home health care is to help them achieve and maintain the highest possible level of independence and educate them on how to live with an illness or disability. 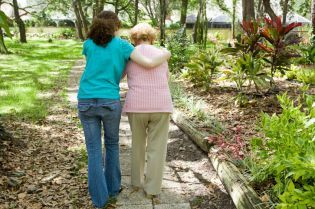 The patient’s condition keeps them from leaving home without help (using a wheelchair, walker, special transportation, or getting help from another person). The patient may leave home for medical treatment or short, infrequent absences for non-medical reasons, religious services, barbershop visits, or other special functions. The evaluator (registered nurse or physical therapist) will determine your homebound status as part of the initial assessment visit. How can I arrange for home health care? Your physician will initiate service by prescribing home health care and certifying that you are homebound. Once the physician prescribes home health care, he or she authorizes a coordinated treatment plan, commonly called a “plan of care,” and periodically reviews services and your progress. If you get your Medicare benefits through a Medicare health plan or other insurance plan, check with your insurance carrier to find out what home health care benefits it provides or contact WESTARM Homecare Nursing & Therapy. Home Health Care is usually covered by Medicare, Medicaid, or private insurance. Benefits and requirements may vary with each insurance carrier. Call the Homecare Coordinator at (724) 337-0420 or email her at office@westarmhomecare.com, so she can verify your insurance coverage and help coordinate other details. What is not covered under home health care? Medicare and other insurances do not cover 24 hour care at home, meals delivery, homemaker services such as shopping, cleaning and laundry, personal care provided by home health aides, such as bathing, toileting, or providing help in getting dressed when this is the only care you need. 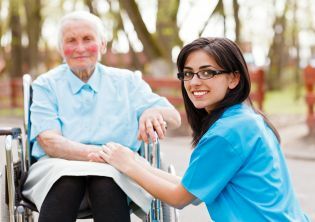 Custodial care is also not covered unless you are also getting skilled care such as nursing or therapy and the custodial care is related to the treatment of your illness or injury. Call the Homecare Coordinator at (724) 337-0420 or email her at office@westarmhomecare.com for more information. How long will I receive home health care services? You will receive home health services for as long as they are considered medically reasonable and necessary, within your insurance policy limits. 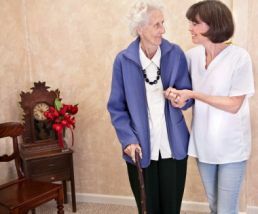 Skilled nursing care and home health aide services are covered on a part-time or intermittent basis, which means that there are limits on the number of hours and days of care you can receive in any week. Check with your insurance carrier regarding your policy limits. Extensions can be made in exceptional circumstances when the need for additional care is finite and predictable. What home health services does WESTARM provide? Physical Therapy, including assistance with regaining muscle strength, coordination, balance, walking, and function. Occupational Therapy, helping people restore skills for activities of daily living, including bathing, dressing, cooking, and eating. Speech Therapy, including assistance with language skills, swallowing difficulties, and memory problems. Skilled Nursing Services, such as performing health assessments, providing wound care, assisting with medication management, and providing education on self-care. Home health care services are available 24 hours a day, seven days a week, 365 days a year depending on the patient’s needs.